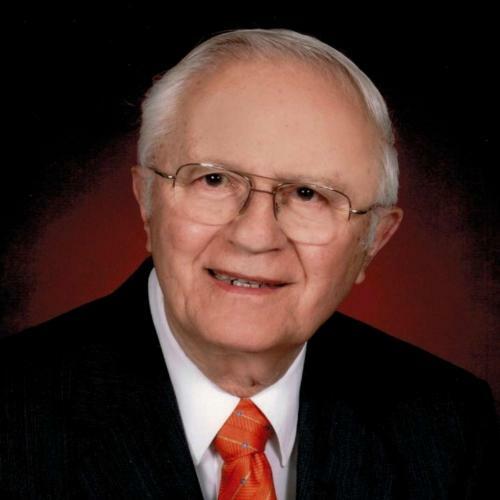 James Koulogeorge, a founding member of Orthodox Christian Laity and the last living founding member of Saints Peter and Paul Greek Orthodox Church in Glenville, IL, fell asleep in the Lord on Thursday, October 29, 2015. Jim served as the first President of OCL from 1987-88 and as Treasurer until 2012. 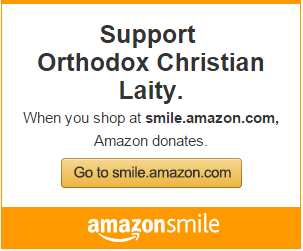 He was a passionate advocate of Orthodox Christian Unity in the United States. He was a devout Orthodox Christian. He and his wife Mary were the respected elders of the community. Jim and Mary represent the “great generation” of Orthodox faithful who cared deeply and actively participated in the life of the Church. They understood that its survival in this land and its relevance for their grandchildren depended on its moving away from its immigrant and colonial frame of reference. The church had to return to its missionary Christ-centered roots. Joanne Nikides, OCL bookkeeper, and I had the great good fortune to work with Jim for over 12 years and interacted with him as treasurer of OCL. We enjoyed working with him. He used pen and pencil to record all transactions. He was a perfectionist. He would get so upset when things did not balance out. But finally, when we were able to have everything balance, he would settle down and be as sweet as anyone could ever be; and, we would breathe a sigh of relief! Our budgets and bookkeeping under his careful eye are clear and straightforward – just like Jim was clear and straightforward. He kept the organization on the straight and narrow. We have accomplished so much in outreach and activities and have been able to pay our way on a very prudent and cost-effective budget. Details pertaining to his final arrangements appear below in the obituary that appears in the Chicago Tribune. We extend our sincere sympathy to Mary, his wife of 59 years, his three sons and daughter and their spouses. We also remember his last surviving sister and her husband. The pride of Jim’s life was his family. He was a devoted husband and caregiver and a good father. All his children were his pride and joy. Jim was very measured in his words and demeanor – except when it came to his grandchildren. He was proud of each one of them and knew what they were doing, where they were, and how they were progressing. He looked forward to their arrival home during the Christmas season, so that he and Mary could take a picture with all of them and send it to all of us each year. With all of you, we celebrate his life. He was ready to meet the Lord and go home. We will miss him, and we all have a special memory of him. He was a man of principle and integrity. His memory will be eternal in the community of Glenview, for his family and for each one of us who had the pleasure of knowing and working with him. James A. Koulogeorge, beloved husband of 60 years of Mary (Dallianis). Jim was born in Chicago on March 2, 1926 to Aristides and Patra Koulogeorge. He attended Socrates parochial school and graduated from McKinley High School in 1944. Jim served in the infantry in World War II. He graduated from DePaul University in 1950 with a Bachelor of Science in Commerce and took liberal arts courses at Northwestern University. He was a 35 year employee of Allstate Insurance working in the accounting and investment departments. 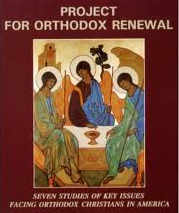 A devout Orthodox Christian, Jim was a founding member of Sts. Peter & Paul Greek Orthodox Church in Glenview, IL where he was the first treasurer, a Sunday school teacher and served in the altar. He was a founder and first President of Orthodox Christian Laity, an independent organization working to strengthen the role of the laity in church life. Jim would want to be remembered for the great love and admiration he had for his family. He was a devoted father of Patricia (Mark) Damisch, Steve (Phaedra), Mark (Karen) and Paul (Eliav). Loving grandfather/papou of Kristina, Katherine and Alexandra Damisch; Mara, James and Miranda Koulogeorge; Sarah, Peter and Andrew Koulogeorge. Godfather of Kathy (Kamatos) Prince and Andrea (Callas) Rabey. Dear Brother of Emily (Ray) Wirsing, the late Athie (the late George) Panarites, and the late Georgia Nash. Cherished koumbaro, uncle, cousin and friend to many. Visitation is Sunday from 4:00 to 8:00pm at Smith-Corcoran Funeral Home, 1104 Waukegan Road, Glenview, Il. Family and friends will meet Monday morning at Sts. Peter & Paul Greek Orthodox Church, 1401 Wagner Road Glenview, Il 60025 for funeral service at 10:30am. Interment at Memorial Park Cemetery Skokie, IL. At his request, kindly omit flowers. Memorial donations to Sts. Peter & Paul Greek Orthodox Church would be appreciated. Arrangements by ADINAMIS & CORLISS FUNERAL DIRECTORS, LTD. (847) 901-4012.